 Puso, M.A. and T.A. 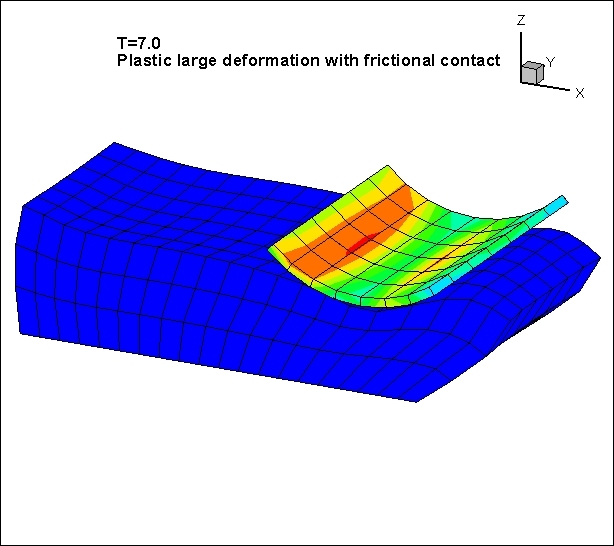 Laursen, A mortar segment-to-segment contact method for large deformation solid mechanics. Computer Methods in Applied Mechanics and Engineering, 2004. 193(6–8): p. 601-629. Puso, M.A. and T.A. 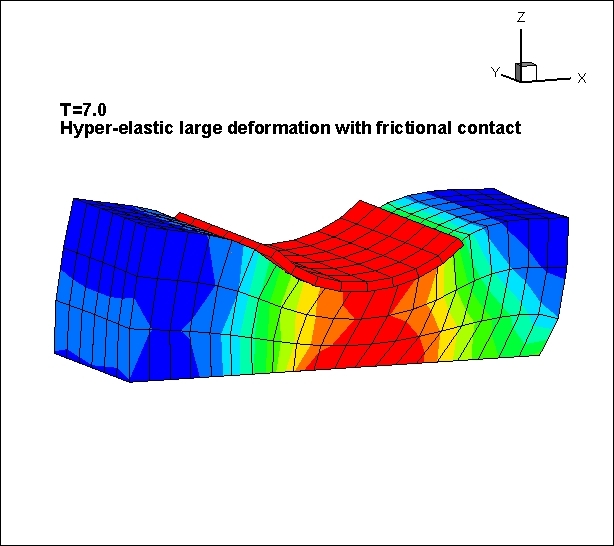 Laursen, A mortar segment-to-segment frictional contact method for large deformations. Computer Methods in Applied Mechanics and Engineering, 2004. 193(45–47): p. 4891-4913. Montáns, F.J. and K.-J. Bathe, Computational issues in large strain elasto-plasticity: an algorithm for mixed hardening and plastic spin. International Journal for Numerical Methods in Engineering, 2005. 63(2): p. 159-196. Montáns, F.J., J.M. Benítez, and M.Á. Caminero, A large strain anisotropic elastoplastic continuum theory for nonlinear kinematic hardening and texture evolution. Mechanics Research Communications, 2012. 43(0): p. 50-56. Hi, nice work ... and where is the code? Permalink Submitted by sicheng6699 on Tue, 2014-06-10 06:35. Can you shear your work or code? If you just need some motivation, maybe you can try to calculate the following reference example, and print your results here. (Not just beutiful pictures.) It would be a great work! Permalink Submitted by aslan mohammadpour on Wed, 2014-06-11 08:45. Do you know what is the benefits of sharing codes with a company like Code_aster? Permalink Submitted by sicheng6699 on Thu, 2014-06-12 03:34. It‘s alright if it is not yet shared. The example of the mentioned referece has nothing to do with self contact.Just some picture is not enough. If you can write it in a paper, oder at least proof the correctness of your code in this forum, it will be a great job. Permalink Submitted by aslan mohammadpour on Thu, 2014-06-12 06:10.